So far, Merbabu volcano is type B active volcano providing more various view along the hike up to highest peak included waterfall and more verious of sweeping mountain view surrounding. Word Merbabu stand for “Meroe” and “baboe”, Meroe mean mountain while baboe mean women, so..Merbabu mean woman mountain. 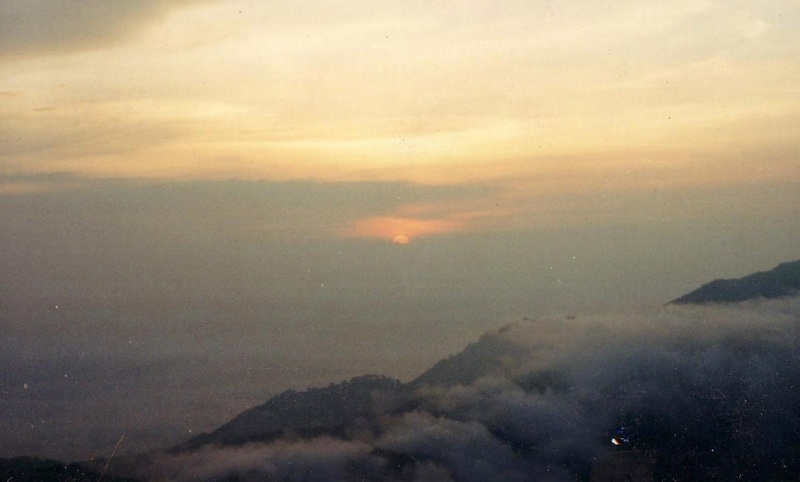 Local people believe that Merbabu is Merapi’s wife. As a non active volcano, Merbabu has many peaks but the highest one is Kenteng Songo at elevation 3.142 meter above sea level.The route to the peak is more flat but longer than Merapi volcano. From Kenteng Songo peak some one can see close up and full body of Merapi volcano. So..this point is strategic site to see view of Volcano Merapi fully. Long time ago Merbabu volcano had a dense forest where the java tiger lived, but now only some region still have it, most of the area is savanna particularly via Selo. When, I climbed this volcano with some friends from in 1994, the route via Ndakan village leading to the peak was shadowed by forest and the camping ground accommodated only three tents capacity 4 person per tent. Now the camping ground here getting wider and could accommodate 40 tents. Some other camping area also found in some area, make this mountain area less of three and grass. There are too many route leading to the peak but common ones are Ndakan route, Tekelan and Selo. Ndakan is the last village located in Magelang regency. Route via this village is the shortest and safest one. 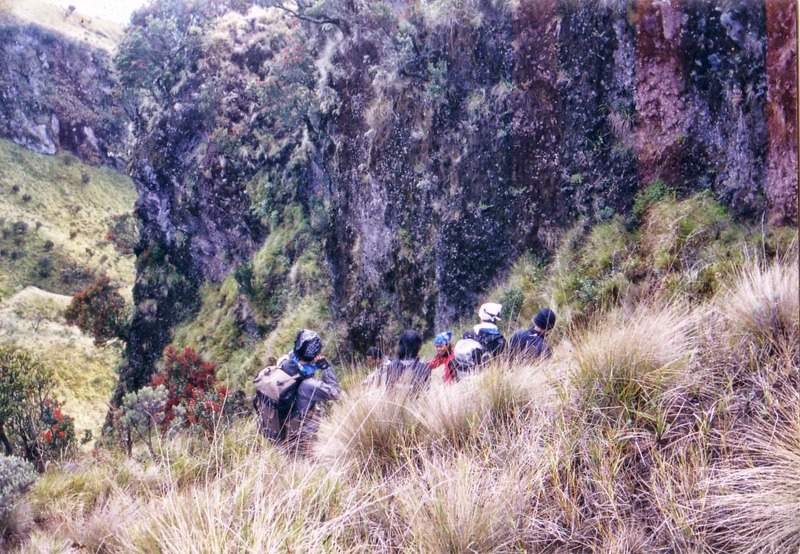 The route is managing by local lover nature and mountaineering organization called Grabupala. This organization provides search and evacuation services in case of emergency during hiking up to the peak and descending back to finishing point at Ndakan village, also provides free transport for evacuation to nearest hospital. The service cost is already included in retribution costs managed by local people living at Ndakan village. While Selo is a district located in Boyolali regency, this point also popular as starting point for hiking up to Garuda, the highest peak of Volcano Merapi. The last common route is Tekelan located at Kopen, a mountain resort located at Salatatiga regency. The crux ( Most difficult part of the route) via Ndakan or Tekelan routes Called devil bridge, a thin edge leading to the peak with depth valley on right and left sides, craters as well. The name of devil bridge was given by ones the founders of local mountaineering organization Mermounc based in Yogyakarta. Hikers usually reach the starting point of Ndakan route from Jogjakarta by public bus from bus station in city of Yogyakarta to Magelang regency. Stop at Magelang bus station, then transfer by public mini bus to Wekas. Stop here, then by hiking I hour through village’s path , pine forest and local plantation as well. In Ndakan there some basecamp available for hikers. Basecamp is other term of home stay managed local people. Base camp provide simple place to take rest and sleep before hiking up, also provides meal and tea drink. While to reach Tekelan - Kopen from Semarang by bus to Solo, then stop in Salatiga, a small town between Semarang and Solo. From here by public mini bus to Kopeng. Kopeng is good place to relax, here available many hotels and inns,. There are also camping ground and waterfalls popularly called Umbul Songo. Most villagers in Kopen are Buddhist. Something unique here as every small gilds never com their hair since they were born till grow up become adult. Local people believe by that way the gilds were protected from the devil. I don’t know is that way right or wrong, even I don’t know about the devil. But I’m sure every community have their own way to protect their community included by creating a certain symbol either material or way of behaving.